When he was still running the Viridian Movement, Bruce Sterling introduced the idea of involuntary parks. Spaces in the world that have become so polluted or otherwise unusable by humans, that they’ve been left to nature (or, at least, savagery). Involuntary Parks are very Viridian. They are not representatives of untouched nature, but of *vengeful* nature, of natural processes reasserting themselves in areas of political and technological collapse. Bruce Sterling, Viridian Note 00023. This is an idea that’s worth revisiting, I think. Beginning with a canonical one: the Demilitarized Zone between North and South Korea is a 250km x 4km sea of mines, barbed wire and rare animals. It’s been left more or less untouched for over 50 years. 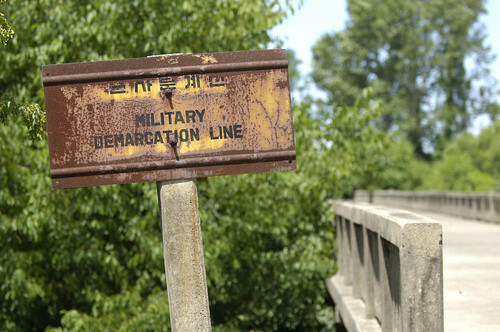 Bonus knowledge: Kijong-Dong is one of two villages still inside the DMZ. It’s on the North Korean-side, full of bright white and blue buildings which officially house a 200-family collective farm along with the world’s tallest flag pole. The buildings are empty shells, without interiors or even windows. It is suspected that a skeleton staff mans the village, keeping it clean and creating the illusion of activity. Second canonical involuntary park: Chernobyl. Abandoned after the meltdown in 1986, Chernobyl’s creatures have had a little less time to reclaim, but they seem to be doing fine (despite a little extra mutation). Bonus knowledge: If current demographic and migration trends hold, a lot more of Russia will be abandoned to savagery, due to the massive depopulation of the country. A chance to see an involuntary park’s creation? 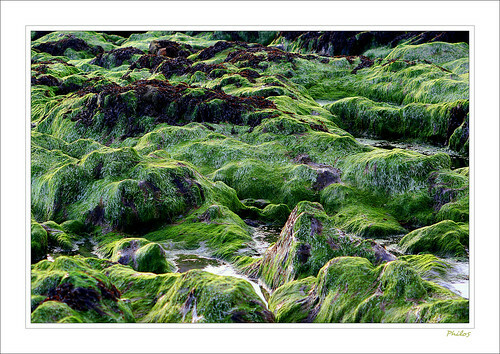 Seaweed is growing so quickly on the beaches of Brittany in France, that it’s turning into toxic chemical minefields. People – including a civic employee paid to clean up the mess – are being put into comas. Bonus Knowledge: Brittany (a.k.a. Aremorica) is where Asterix and Obelix are from. One of my favourite stories involves Caesar trying to finally assimilate/evict the village with a redevelopment project. It was an attempt to raze the swath of forest created by a ring of containment garrisons and Rome’s inability to put down the villager’s resistance. It’s a coal mine that started burning in 1961. It’s predicted to last another 250 years. This is where things get interesting. The Viridian idea of involuntary parks is these savage nature sanctuaries. Environmental or political ruin-zones where humans fear to tread. But just as there’s a wide variety of usage scenarios in designated parks, there’s a sliding scale of inhospitability. Centralia’s evacuation was gradual. Congress didn’t even start funding the relocation of residents until 1984. People moved out slowly and there were still hold-outs in 2007. The result is feels very much like a recreational facility. Not so much a preserve as a place where people can fool around on their ATVs. Bonus knowledge: In 2002, Centralia’s ZIP code was revoked. As far as I can tell (please correct me!) it’s the only time that this has happened. 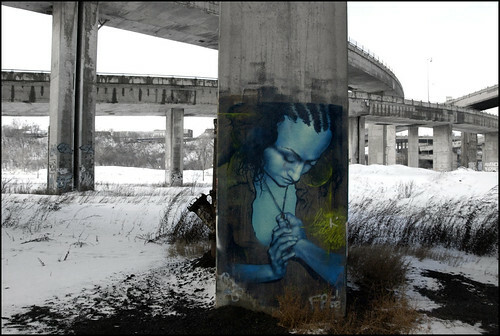 The Turcot Interchange is a sprawling knot of roadways, the bane of many a visitor to Montreal. The roads are soaring. They are massive concrete ribbons, built to allow ships to pass through the canal and proclaim Montreal’s 1960s status as a big player on the world stage. The network is ageing, and slabs of concrete have taken to falling off the overpasses. Debates are raging about how to redevelop or repair the system. Unexpected resistance came from the residents of nearby St Henri who – in addition to being unhappy with the idea of the highways coming down to ground level – were quietly using the spaces between the spires to walk their dogs, practice their golf, and generally recreate. The area also houses a rare species of brown snake. Bonus knowledge: Spacing Montreal has more (including aerial photos) on the history of the area. Detroit’s status as an involuntary park is fragile. Unlike everything else on the list, Detroit’s neighbourhoods are being abandoned because of economy instead of environment. In theory, residents could return, were Detroit to pick back up as a place worth living. For now, it’s shrinking fast with an area the size of San Francisco totally abandoned. One proposed solution is to simply bulldoze huge sections of the city, concentrating the population in a smaller area. 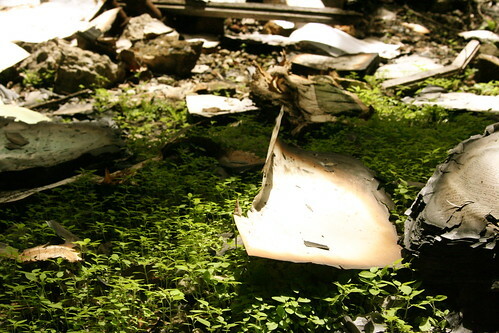 In the meantime, Detroit is practically becoming a tourist destination for all the ruin. People are doing art installations, photography (so much photography), and experimenting with architecture. This is a fine line between park and redevelopment. If things go too well, eco-gentrification is sure to follow. Bonus Knowledge: You will not regret exploring these pictures (especially #10).